An impregnable Jat territory in the 17th-18th century, Bharatpur was the best duck shooting resort under British Empire. Bharatpur's 29 sq km bird sanctuary is "Paradise for Avian World" having largest concentration of bird life in Asia. Offering shelter to 375 species of beautiful birds, the Keoladeo Ghana National Park was declared as a world heritage site by UNESCO. Presently, this 'Eastern Gateway to Rajasthan' is a popular spot for bird lovers and wildlife conservationists. Main Attractions: : Keoladeo Ghana National Park, Lohagarh, Deeg. Geographic : Located a little south of Delhi or West of Agra is Bharatpur, arguably, Asia's best Bird sanctuary. Famous As: Bharatpur Bird sanctuary, now known as the Keoladeo Ghana National Park. By Air : The nearest air connectivity is through Delhi. By Road : Agra, one & half hours, Fatehpur Sikri, One hour. By Railways : Delhi, four hours, Agra, one & half hours. 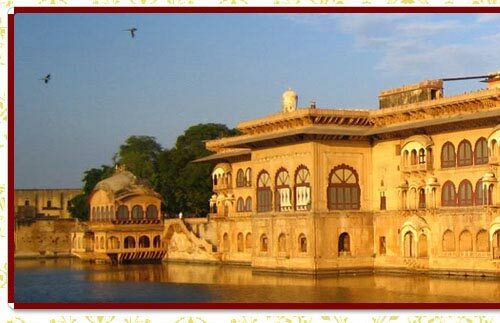 An important stronghold of the Jats in the 17th & 18th centuries, the Bharatpur royal family was considered to be amongst the noblest in the region. However it is was after the accidental development of this area as a favorite sojourn for all types of birds & fowls that Bharatpur gained its fame, formerly amongst those who shot game with rifles, & now amongst those who come armed with cameras as part of Bharatpur city guide. During peak season, even a person with little or no ornithological grounding can observe hundreds of rare bird species with ease. Established by the Maharaja of Bharatpur mainly as a hunting resort, where it has been recorded that he shot 5000 ducks in one day alone along with his British guests, the park is now the center of dedicated conservation efforts for several endangered species, amongst them the notable Siberian crane. The best part is that the sanctuary can be easily covered on foot or at ease by cycle-rickshaws, allowing you to enjoy the wild life up close apart from Bharatpur tour. Built in the 18th century by the formidable Jat chieftain Suraj Mahl, the Lohagarh fort was a focal center of Jat military power in Northern India. Maharaja Suraj Mahl constructed this sprawling edifice ensconced within impregnable defenses. The fort contains three palaces, one of which contains a museum while the others now lie in a state of relative neglect. The fort also has two towers, the Jawahar Burj & the Fateh Burj, to commemorate Suraj Mahl's victory over his rivals- the Mughals & the British. 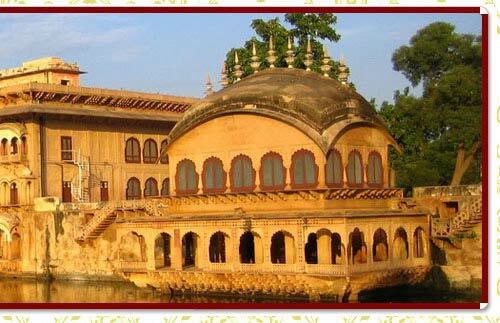 36 kms north of Bharatpur is the town of Deeg, famous for its Palace. Constructed in the mid-18th century by Maharaja Suraj Mahl, the distinctive feature of the palace is that it is in an excellent state, being in royal use till the '70's. 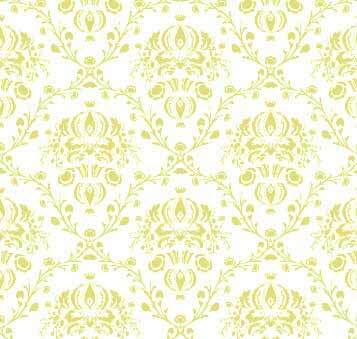 The palace is a delightful building, wonderfully proportioned & constructed. The state rooms are maintained as they were during the heydays of the maharajas & thus provide a glimpse into the royal lifestyle. The palace has a mix of Rajput & Mughal architectural styles & contains beautiful gardens & fountains.